Children who have undergone microtia surgery are often eager to get back into their normal athletic activities. While parents may be reluctant to allow their child to fully participate, as long as the doctor has cleared the child for physical activity, there should not be a problem. 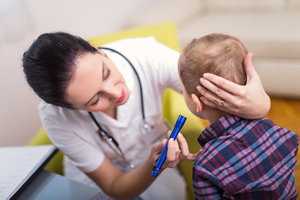 Since microtia repair surgery with the rib graft technique is done in several phases and can take up to 18 months to complete, there will be recovery times when the child may not participate. The longest time is usually after the first surgery, when the incision area on the chest from the cartilage removal needs to heal. The surgeries in phases 2, 3 and 4 are much less invasive and require less recuperation time but the healing process must be completed for normal activities to resume. After all surgeries and recovery are completed, participating in most types of sports are allowed. The only exceptions to this would be boxing or wrestling. While other sports, including contact sports, carry a risk of injury, both boxing and wrestling can cause direct trauma to the ear and should be avoided. Kids who have undergone surgery are usually anxious to get back to normal as quickly as possible. Parents, although protective, need to allow their children to participate in any activity they wish. Emotional support for parents and children can be found on websites like www.earcommunity.org.